Arrrr! Florida Pirates be Arriving Soon! Dr. Kevin McCarthy earned his B.A. in American Literature from LaSalle College in 1963, his M.A. in English from the University of North Carolina – Chapel Hill in 1966 and his Ph.D. in Linguistics from the same school in 1970. He taught in the Peace Corps in Turkey for two years, in Lebanon as a Fulbright Professor for one year, in Saudi Arabia as a Fulbright Professor for two years, and as a professor of English and Linguistics at the University of Florida for 33 years. He has had 48 books published, including Twenty Florida Pirates, plus 43 articles in scholarly and popular journals and has given over 300 talks to schools and academic groups. In 2003 the University of Florida named him its Distinguished Alumni Professor. Since retiring from UF in 2005, he has twice taught writing workshops in Hanoi , Vietnam , and English-as-a-Foreign Language in Spain . He continues to research and write nonfiction books about Florida. 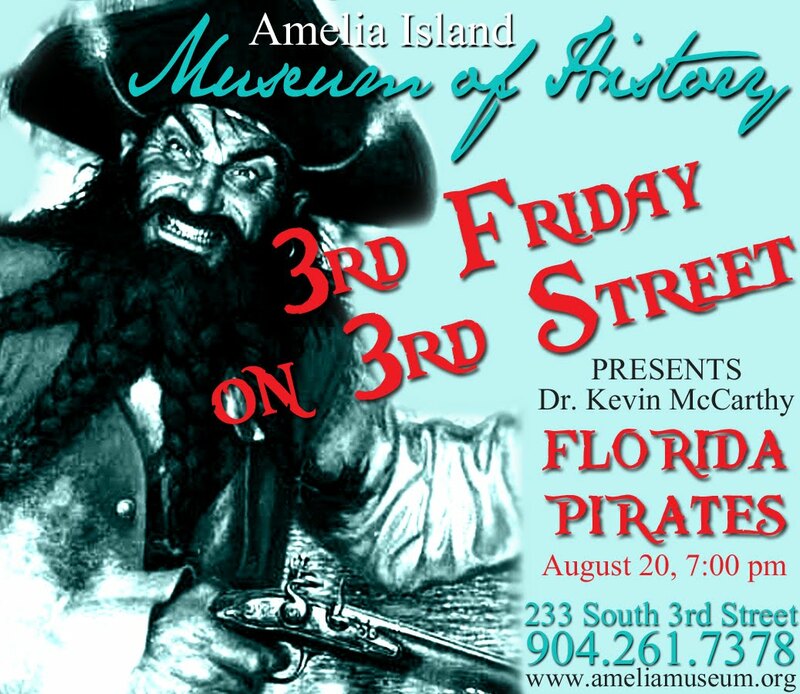 At 3rd Friday on 3rd Street he will be discussing the role of pirates along the east coast of Florida, with particular mention of Amelia Island and St. Augustine. He will also discuss the image of pirates in American culture, why they are so popular in movies and literature and what their lives were really like.